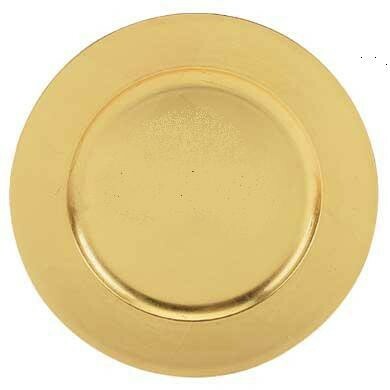 Home > Products > ChargeIt by Jay Gold Acrylic Round Charger Plate 13"
Perfect for receptions, banquets, and other formal settings, the ChargeIt by Jay Gold Round Acrylic Charger Plate exudes sophisticated style to impress your guests. These eye-catching gold charger plates have a wide, plain rim that enhances food presentation while protecting tables from spills and mess. Made from high quality acrylic, these charger plates boast superior craftsmanship for unbeatable durability and longevity. To properly care for these plates, hand washing is recommended and they should not be used in the microwave.